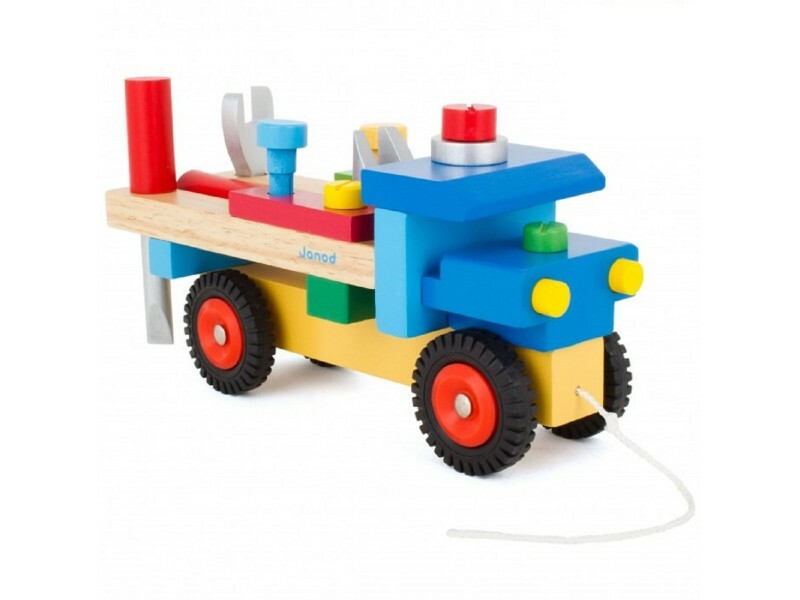 This chunky wooden truck from the French toy maker Janod is not only a truck that children can construct themselves, but it also a pull along toy as well as a mobile workbench with tools! 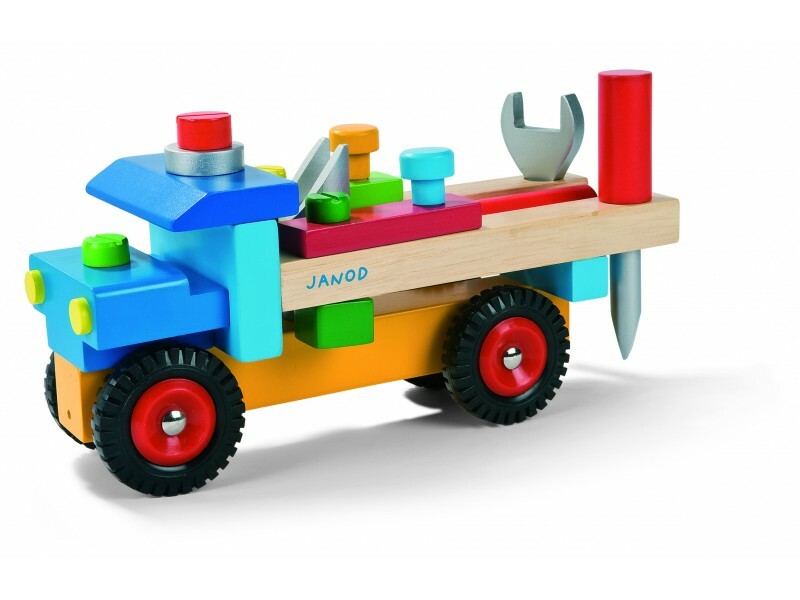 The 27 piece Janod Diy truck has 3 chunky wooden tools and lots of wooden screws and bolts for little ones to assemble the truck with. 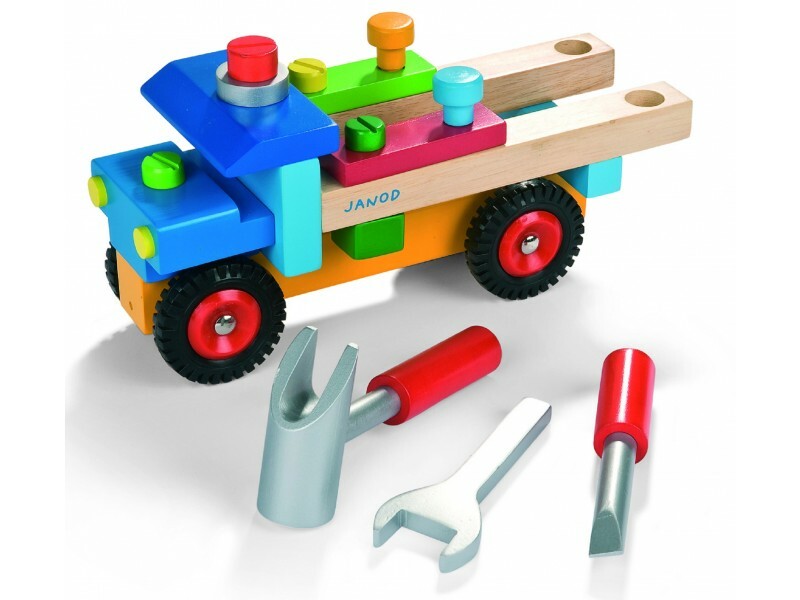 The tools slot into the back of the truck to keep everything neat and tidy. 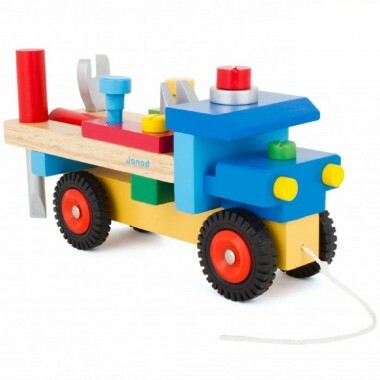 Apresent for our 2 yearold grandaughter which has been much enjoyed by her and her elder cousin. 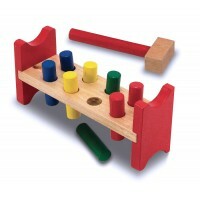 The tools were also useful for her to help her mum put dowels in a set of flatpack steps so she can get to the sink.